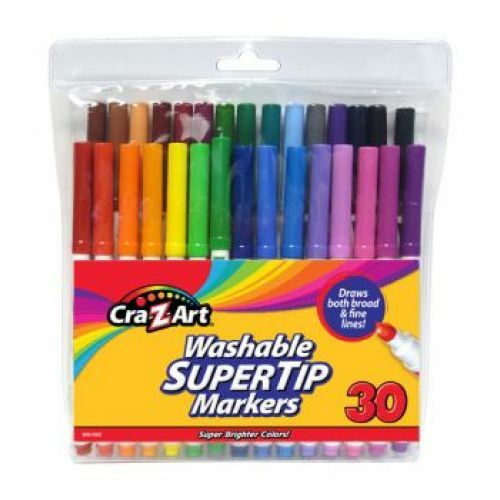 Cra-Z-Art's 30 Count Washable Super Tip Markers in Classic Colors come in 30 different colors. Draws both broad and fine lines. Non-toxic.